Looking for love in the form of a four-legged friend? These silver beauties always have a special place in this dog-lover’s heart. They love to love and they’re good at letting their people know it, too. They’re playful, smart and always full of heart. It doesn’t take long for this breed to warm up to people and they LOVE to be in the presence of the owners and families. Due to their gentle nature, they make great pets for seniors and smaller children. 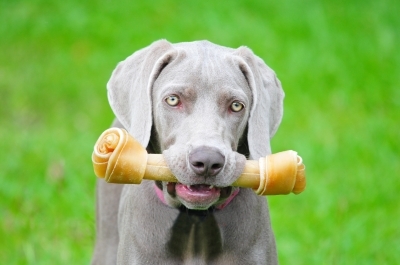 Weimaraner love to play and learn new tricks, but most importantly — these dogs love to love their humans. This breed is devoted and will be content to be right next to their owners, as much as is dog-gone possible. Oh my! I simply can’t say enough about this lovable breed. They’re great to have with children, especially older active children because these cute, furry rascals are perpetual “kids at heart”. Their energy level is matched only by the boundless amounts of love they have to give. 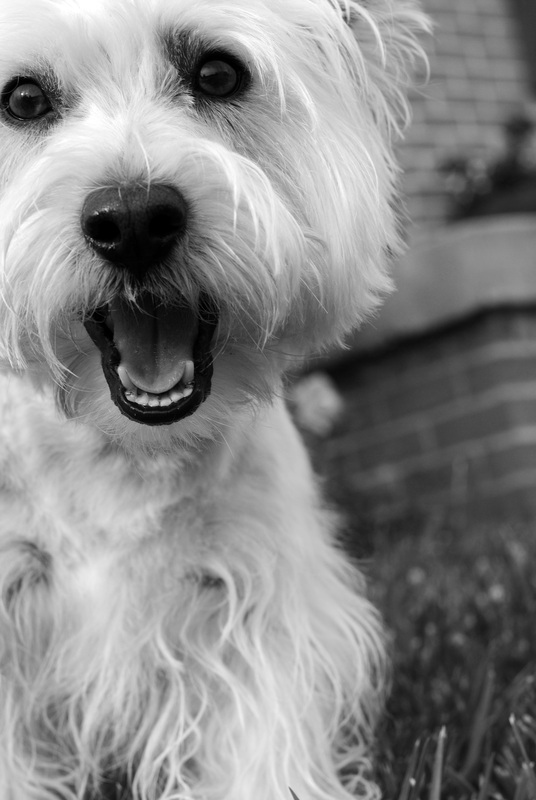 & we’re talking BOUNDless andBOUNDing love – this breed is incredibly sweet! In Pinky’s observations, the lab “flavors” chocolate, vanilla (yellow), and licorice (black) each have their own individual quirks. Black labs are TYPically, the most laid back and love showing off and learning tricks. Just in this girl’s experience. Chocolate labs make excellent family dogs, they’re protective of their people and loyal — lots of energy with the chocolates, though. Yellow labs are energetic and very sweet — many have will have a “pop-up” ornery streak that can be endearing. ALL of the labradors I’ve come across have been very lovable. Personally, I prefer English labradors — just because they’re more laid back, but that’s just my preference. 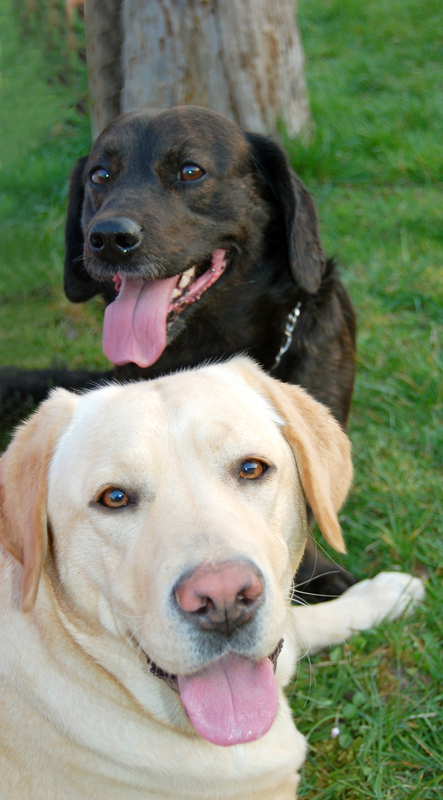 American field labs are a perfect match for active families who want a loving and energetic companion. I got the pleasure of learning several new breeds while working with dogs….well, “new-to-me” breeds. Leonberger, Dogue De Bourdeux, Bouvier des Flanders, Airedale, Akita and Cane Corso are just a few of the unusual, rarely heard of breeds Pinky got the privilege to know, and most-pertinently, the Vizsla. This chick just adores this loving and gentle breed. They’re sleek and graceful, which reminds me of the Weimaraner, but a bit calmer and maybe even gentler than the weim breed. I fondly rememeber one Vizsla named Sasha, in particular who was very affectionate. She used to climb on my lap to give hugs. And somehow, manage to curl herself into a comfortable position in my lap, any time I would be around, in the sitting position. Vizslas are most commonly smooth-haired, but there are wire-haired versions of this gorgeous breed too. 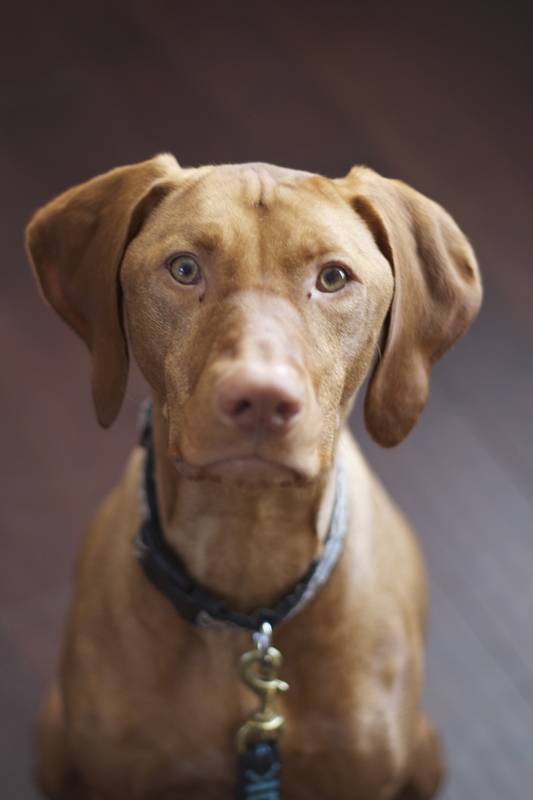 I believe those searching for a very loving, calm and gentle (medium-size) dog would be tickled pink with a vizsla. “New Dog Breeds” to Pinky — Have you heard of these? I love, LOVE, LOVE “Newfies”. They’re so endearing with their big, “dopey” looks, clumsy walk and hopelessly, cheerful demeanor. Newfoundland owners please understand this description is stated with nothing but love for the breed — they’re one of my FAVORITE breeds. Before, anyone gets too excited, it’s important to understand — these dogs are meant for wide, open spaces and true dog lovers. They slobber and drool, they shed and they need consistent grooming. On top of that, they’re massive, which amounts to a massive amount of slobber and shedding. This is why it’s crucial to have the house and yard space for these loving beasts. Those of you who do, this girl is envious of you. These dogs are just that special. They’re so gentle and sweet and of course, very loving and devoted to their people. Newfoundlands are so loving and devoted, in fact that the breed is known for rescuing their humans in an emergency situation. They’re great pets for seniors and children as long as they’re equipped to handle these big babies with big hearts. My goodness, these furry little puffballs of fun are not only adorable, but they’re so loving and loyal. They might tend to be a little on the yappy side, but their happy dispositions and loving personalities can help one look past this tiny flaw. Plus, training can always benefit any dog. Yes, even a pom-pom. I love Poms — they’re very affectionate and love to be in the presence of their owners…almost to a fault. 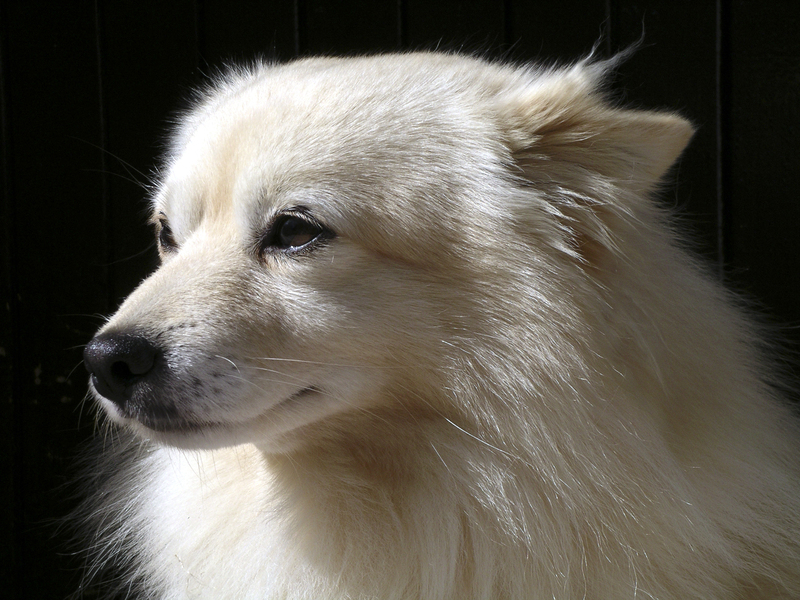 I first got the pleasure of meeting an American Eskimo dog when I went to work at the humane society in 2008. Sampson, was a 15 year-old AE who had spent much of his life inside the walls of the shelter. Sampson had a bit of a stranger-danger barking issue, but once you got past that — the little guy was an absolute love bug. He could walk, but that doesn’t mean he didn’t love to be carried outside, giving kisses all the way. Sampson had an incredible personality, that thankfully someone saw. A man who lived several states away in Wisconsin stumbled across Sampson’s profile on Petfinder.com. He drove the entire trip and adopted the cute, little fella. The owner kept in contact with the shelter regularly (even sent pictures). He relayed information about Sampson settling in with their family, right away. He even bonded very quickly with his new sister, another older AE. Sampson lived the last year of his life happy, spoiled, and in a family where he loved and gave love. Everyone at the shelter adored this special, little dog and missed seeing his smile every day, but couldn’t be happier of the outcome. 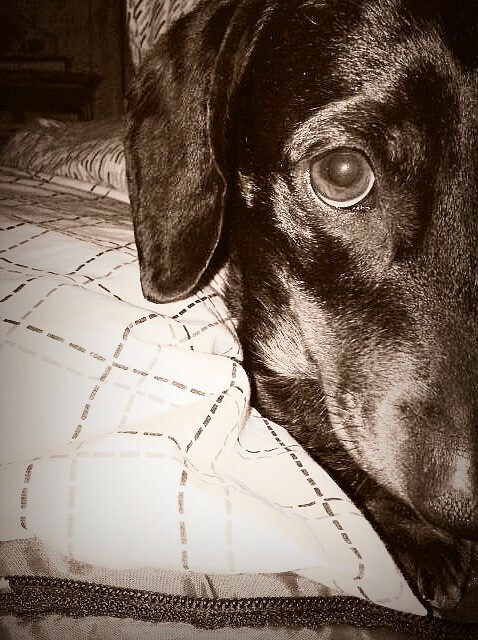 Jetta, my doxie girl is one of the most loving dogs on the planet. She loves virtually everyone she meets and she is a lap-hopping, kissing fool. 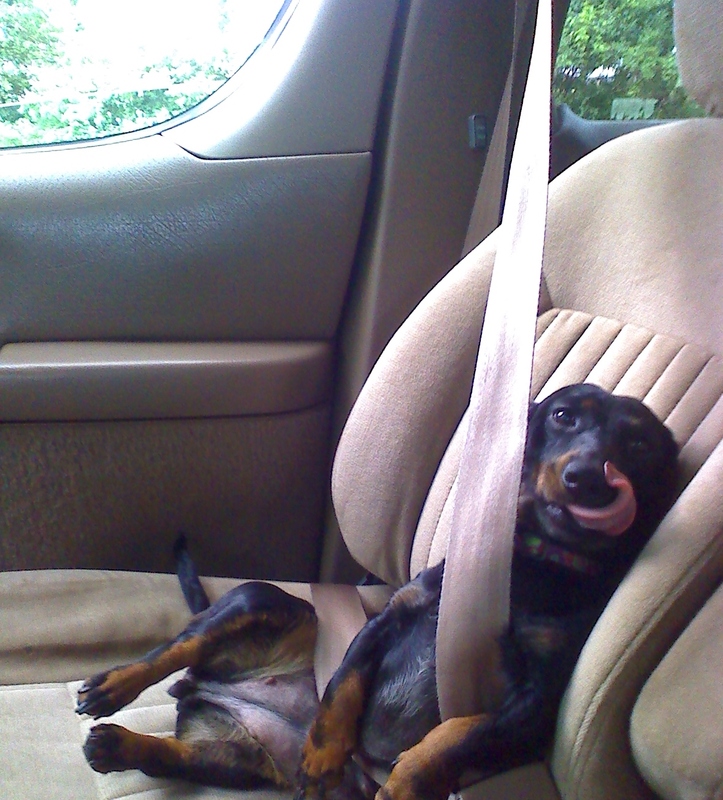 Dachshunds, by nature are very affectionate. They are happiest when they are surrounded by their family and the bigger the family (or the more members around), the happier they are. They love to sit on laps and are some of the best snugglers because they like to burrow in. This is Pinky’s list, but that doesn’t meant that there aren’t loving dogs in every breed. And let’s not forget about mutts too — some of the biggest lovers are mixed breed mutts! My dog loves bath day…really..
She’s ready to sleep now. Don’t believe the innocent look. This is the face of a heathen, a newly clean, now dirty heathen, at that. She stands perfectly still while she’s getting her bath and afterwards, I use the hair dryer. This is possibly, her favorite part. She rolls around on the bath towel until she’s done and dry. AS SOON as she’s done running 30 – 50 laps around the inside – wants to go outside and tries remarkably hard to “dirty” and “smell” herself up – Blurg. How unladylike. This is not acceptable Pinky-dog behavior. For sure. After this, she’ll run inside, run a few more laps and then she finds a spot to sleep for the rest of the day. …& that’s how bath day goes for this doxie owner ;).